Professional grade, high-density polyethylene, double walled structure gives it superior strength and weight distribution. 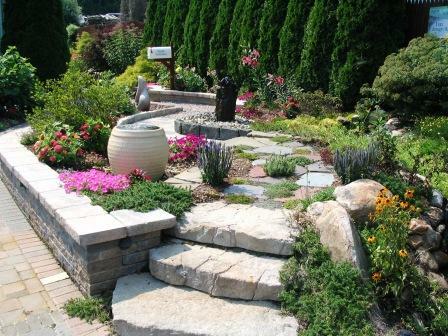 Octagonal shape for maximum strength when backfilling and positioning decorative pieces. 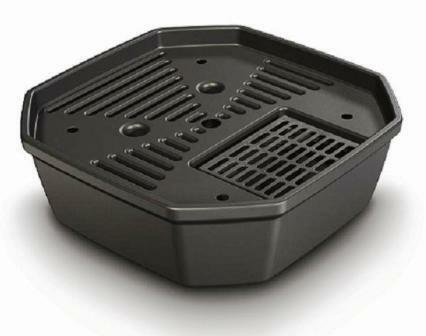 Flat Deck is Ideal for small to medium water features. 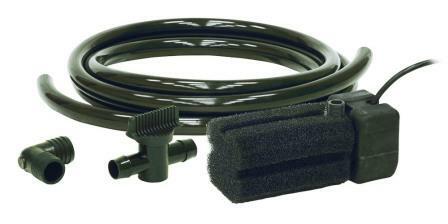 The AquaBasin is ideal for catching the splash of some of those small to medium sized pieces. 2" hole pre-drilled in the center that makes it easy to hook up plumbing. 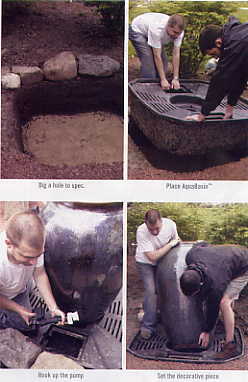 (1) 9" x 12" pump access panel to allow easy access for maintenance. Has been tested to hold up to 1,600 pounds! 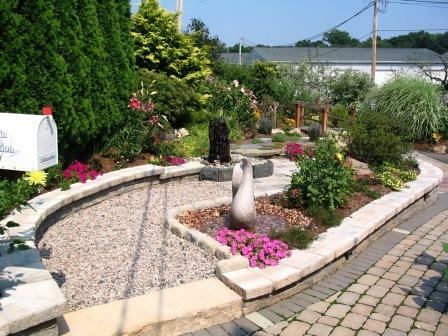 Why only appreciate your water feature during the day? 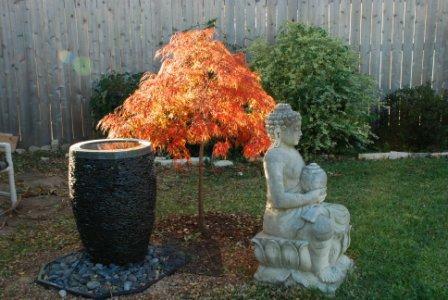 Adding lights can dramatically change the look of any fountain. "Click Here for Lighting Options"
3/17/2011 – We live in New England with freezing winter temperatures. What needs to be done with the aquabasin to survive these conditions? . 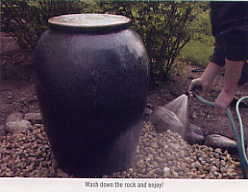 . .
5/8/2009 – We recently purchased a concrete vase with a 1" to 1-1/2" hole at the base and will be converting it to a bubbler. It is . . .